If you've never followed a bible reading plan before we suggest you start here. By spending just 10 mins a day you'll be able to read through the whole New Testament in a year. To follow this plan read the first bible reference that's listed against each day e.g. on January 1st read Matthew 1:1-2:12. Matt Carvel will be tweeting daily devotionals related to the New Testament passages of the reading plan all year long. By spending 20 mins a day you'll be able to read the whole New Testament in a year, plus also a Psalm and/or Proverbs every day. 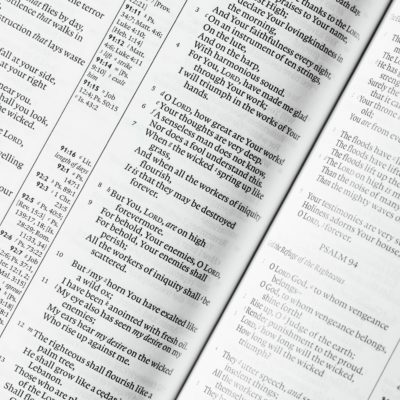 The Psalms are a collection of hymns, poetic verses and prayers that cover just about every aspect of life and help us understand more about God. Proverbs are full of knowledge, life experiences, and wisdom help us to live life God's way. To follow this plan read the first 2 bible references every day e.g. on January 1st read Matthew 1:1-2:12, Psalm 1:1-6 & Proverbs 1:1-6. By spending 30 mins a day, you'll be able to read through the whole Bible (Old & New Testament) in a year. This is a significant commitment, however, if you're able to make available 30 mins every day to read your bible, then over the year you'll get the most amazing overview of the biblical story whilst growing in your relationship with Jesus. To follow this plan read all the bible references every day e.g. on January 1st read Matthew 1:1-2:12, Psalm 1:1-6, Proverbs 1:1-6 & Genesis 1:1-2:25. Click the link below for the Bible Every Day reading plan.